I will be putting things up to help promote my love of the Legend of the Five Rings RPG (L5R RPG). One of many questions I often see is, "What type of dice system does the game use?" Well, mechanically, L5R is a "Roll / Keep" system with "exploding dice". Roll a bunch of d10s, keep some of them and add them together to get your total (modifiers can alter the roll, the keep, or even the final total). To resolve an action, such as striking a target with your katana, you'd take your skill in it plus your trait add them together and get the total number of d10s you'd roll. Let's say your Katana skill Kenjutsu is a 3 and your trait (agility) is 2 that would be 5d10 (2+3=5) to ROLL for your attack. 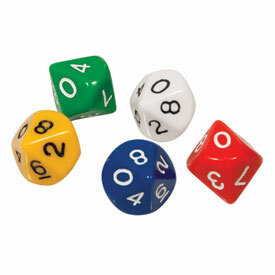 After rolling you get 2, 6, 8, 6, 10... you'd automatically re-roll the 10, and add the new number, of say a 3. Which would make the numbers look like this now: 2, 6, 8, 6, 13 and because your trait of agility is 2, you get to KEEP the two highest rolls of 13 and 8. Now that you got your two numbers you add them up, getting 21 as your attack value to compare against the target (defense) value of 15, resulting in a hit! Well there you have it, a quick look at the Roll/Keep system from the L5R RPG!